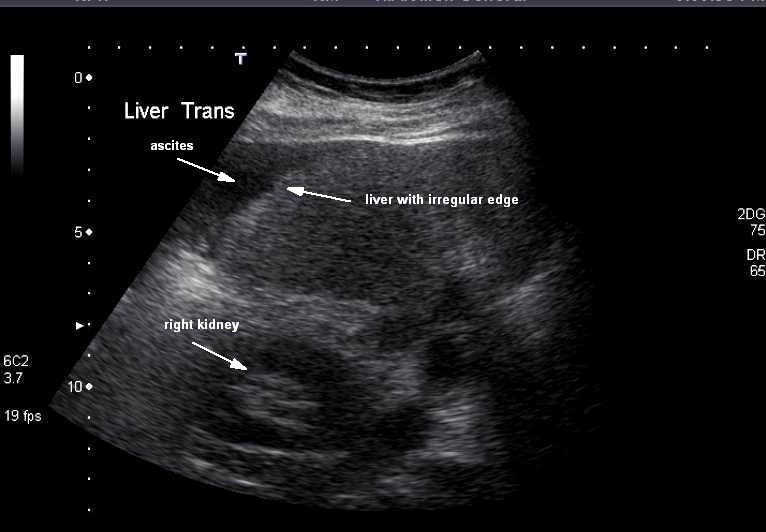 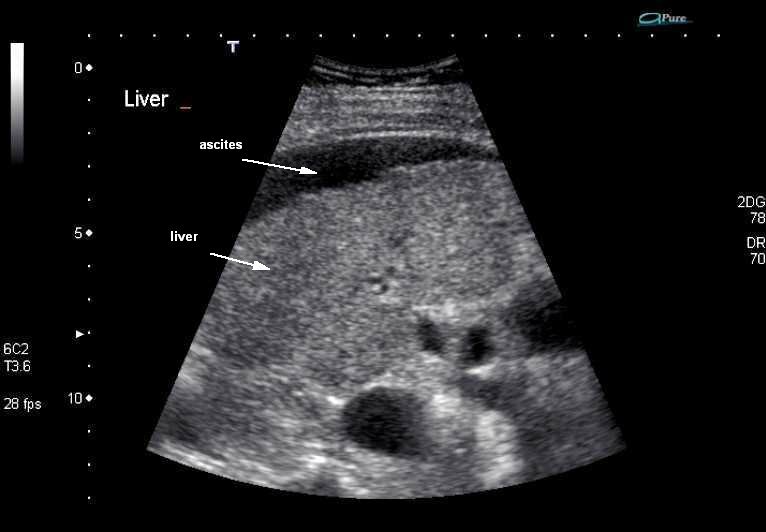 Image 1a and 1b (Ultrasound): Images from the same patient showing ascites surrounding the liver and a nodular hepatic surface consistent with cirrhosis. 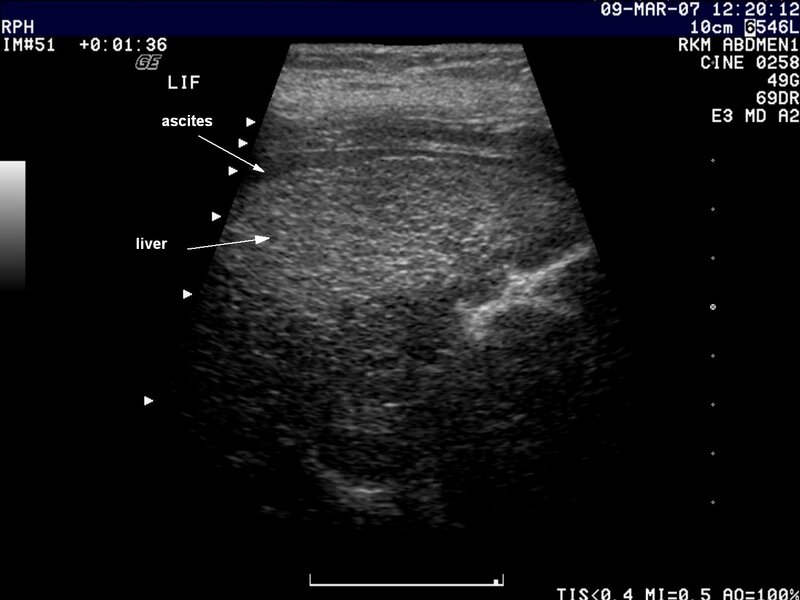 Image 2a, 2b and 2c (Ultrasound): Images from the same patient showing nodularity of the liver surface, coarse liver echotexture and small volume ascites (Image 2a). 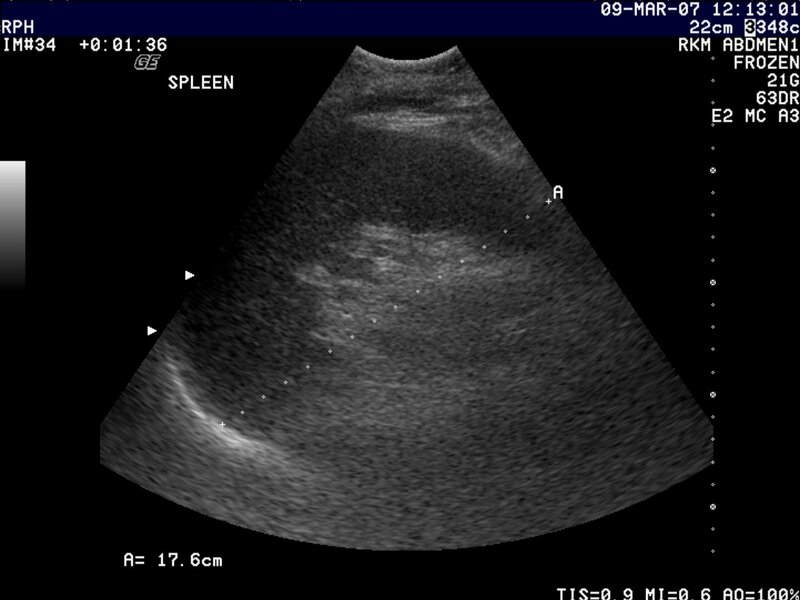 Splenomegaly due to portal hypertension (Image 2b) and reversal of flow in portal vein on doppler (Image 2c) are also present. 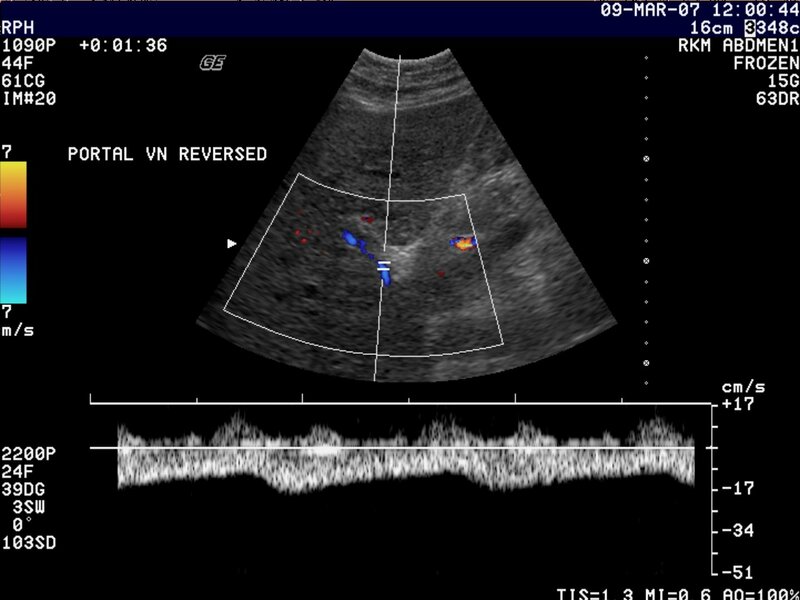 Image 3a, 3b and 3c (Computed Tomography): Images from the same patient demonstrating portal hypertension. 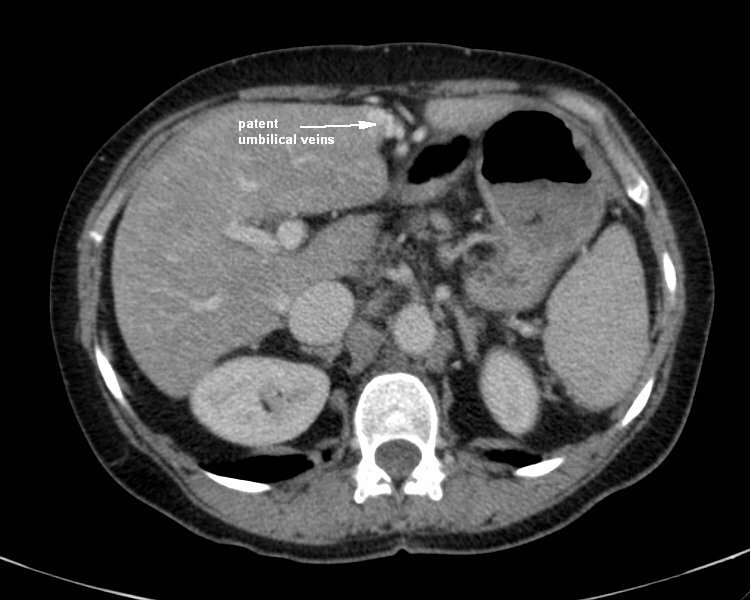 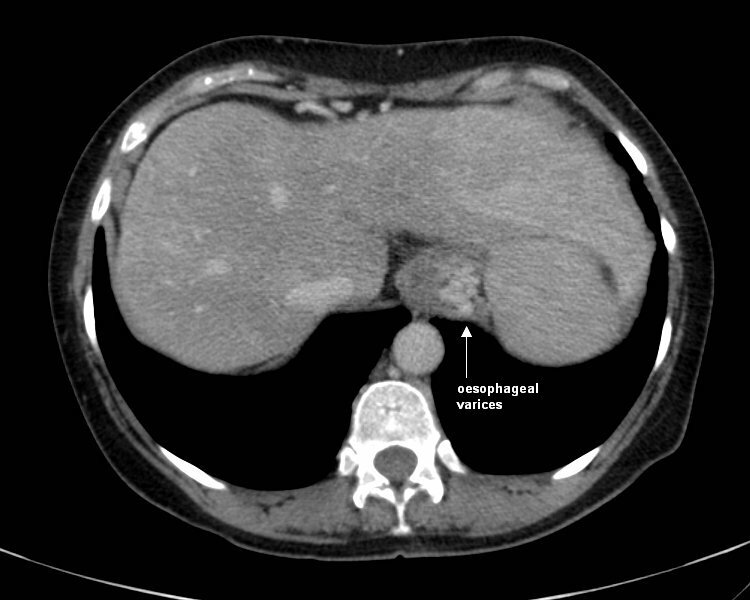 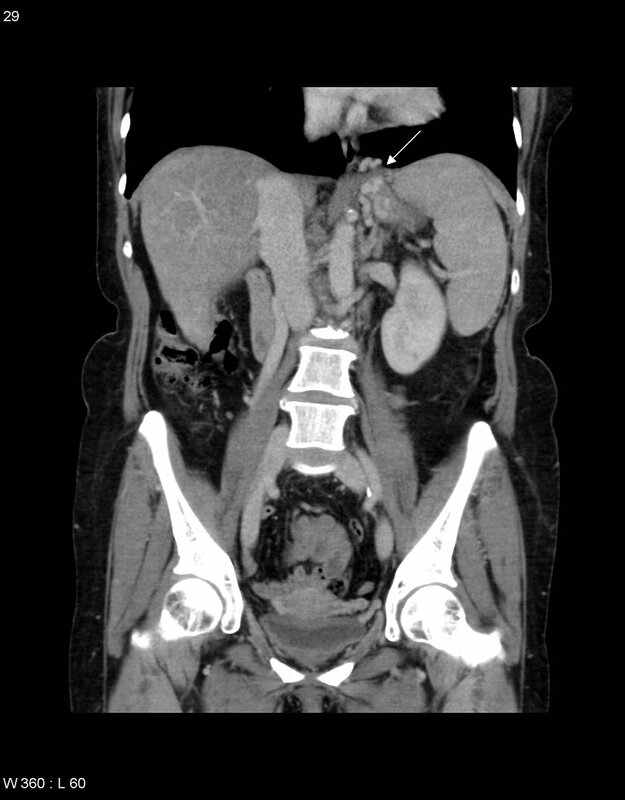 There is splenomegaly, varices adjacent to the gastric cardia and distal oesophagus (arrows) and a patent paraumbilical vein.